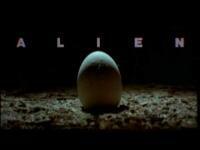 Director Ridley Scott"s Alien (1979) struck the perfect balance between horror and sci-fi. The crew of a space merchant vessel receive a transmission thinking it a distress call, proceed to investigate. The crew is then attacked by the mysterious life-form via facehugger and the final form of the Alien. Alien had an estimated movie budget of $11 million and grossed $78.9 million a the box office. Sigourney Weaver, Tom Skerritt, and John Hurt star in Alien.